Featuring classic Christmas imagery and colors with a glittery texture, this is a looping motion worship background that's great for song lyrics, sermon notes, scripture, and announcements. These backgrounds can also be used on their own to create the right color and atmosphere for your stage design / environmental projection. 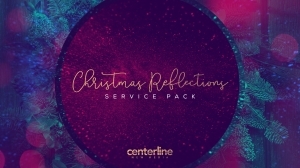 Perfect for your Christmas and Christmas Eve services!